This wine is from grapes grown on our sustainably certified vineyard in Ranzau Road, Hope. The vines were carefully shoot thinned and leaf plucked to give the berries optimum exposure to the sun. Slow to ripen bunches were removed by hand thus ensuring the grapes were perfectly ripe at the time of picking. In the winery the grapes were carefully taken off their stems and left cold to soak for a period before fermentation. A warm ferment on the skins with careful cap plunging by hand enabled us to extract optimum varietal colour and flavour. 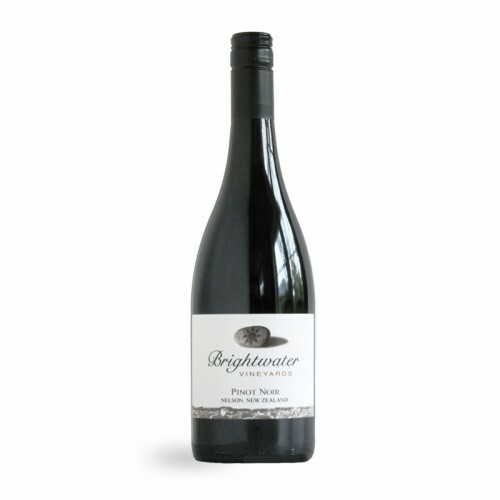 Enticingly floral, very finely textured and harmonious red with excellent depth of ripe plum and spice flavours, gently seasoned with French oak, supple tannins and a lengthy finish. On the palate – dry, lighter bodied, poised and complex with flavours of light red fruits, silky needle point tannins, plenty of acidity and tension; A delightful example that reflects its home and Pinot potential. It’s ripe and rounded on the palate with attractive fruit flavours, beautifully framed by supple tannins. The wine shows lovely fruit purity as well as delicate complexity.